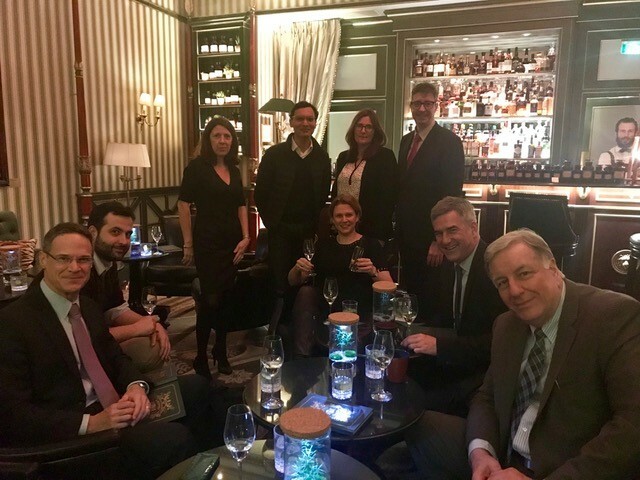 On January 29, 2018, the CHS France chapter held a small Get Together at the Bar “Le Botaniste” of the Hotel Shangri-la Paris. The Hotelies in attendance tasted a selection of great cocktails from Chef Barman Clément Emery and discovered the new identity of the bar, the former home of scientist Prince Roland Bonaparte. Thanks to its Founder Erwan Castain (Cornell), the group enjoyed Pernod Ricard’s new internal start-up and concept “L’Orbe”, a range of gastronomic drinks between fine cuisine and mixology. Each recipe of L’Orbe is a marriage between a culinary ingredient and a fine spirit, and is based on a scientific technique called “micro-encapsulation” used to protect fragile products over time. The CHS France chapter, along with the alumni associations of other prestigious universities, organised a Christmas Cocktail reception. The CHS France chapter gathered for breakfast at the Hotel Le Scribe Paris to learn more about the Concept POP – People on Point.